The restaurant is very different from Misoya. 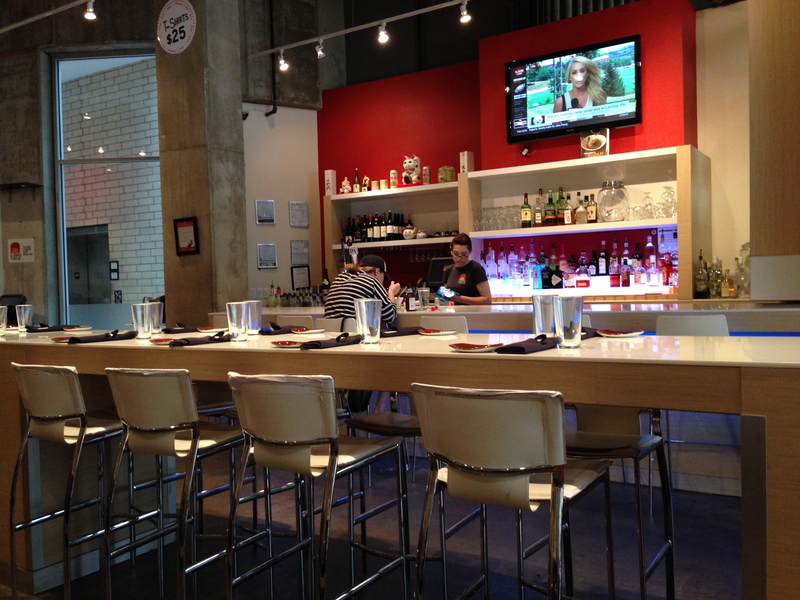 It is sleek and modern, offering booth seating and a giant communal table in the middle. There is a full bar and the Slurping Turtle menu offers more than ramen–there are appetizers, bao, bento boxes, sushi and rice dishes. We went for the noodles though. Because it was Saturday and because we rode the train, we decided to get a drink. 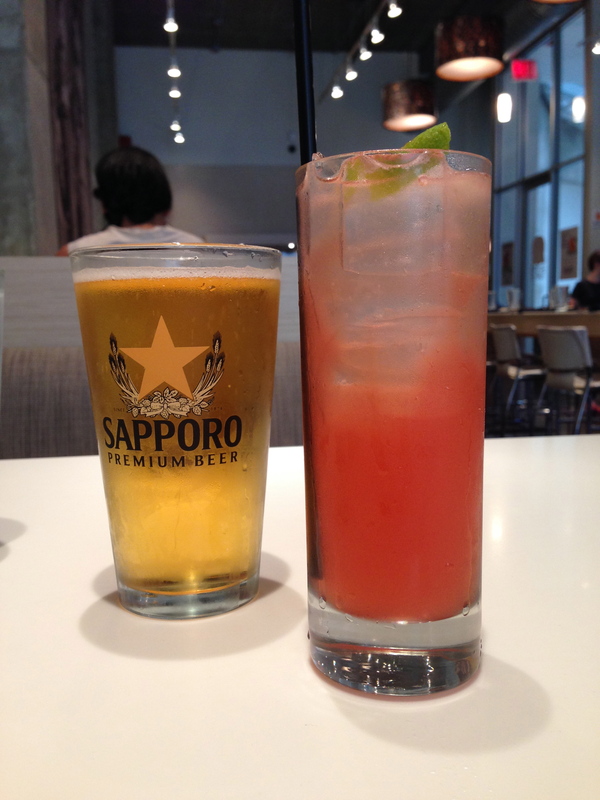 Naoto had a Sapporo and I had the Groundhog Day cocktail–gin, Luxardo Bitter Liqueur, Yellow Chartreuse, Grenadine and lime. It was really refreshing and reminded me of a Negroni. 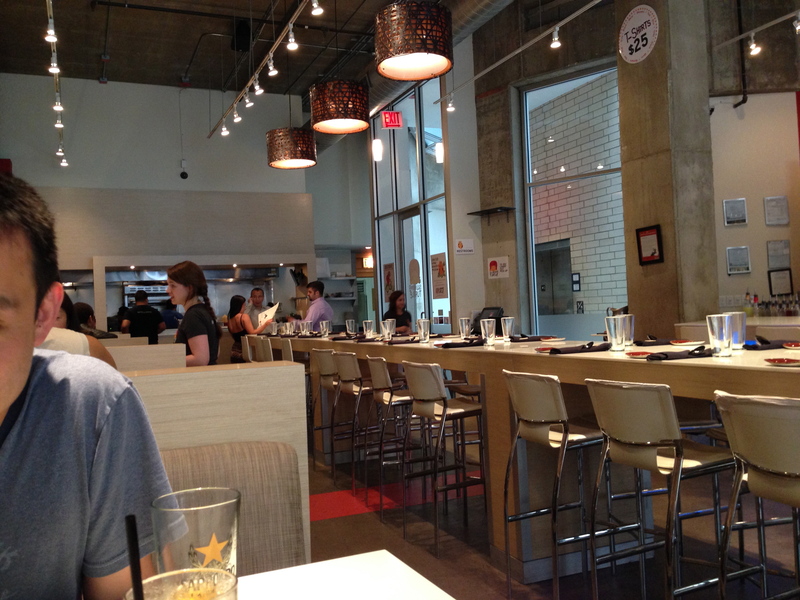 The Trillist article recommended the Roasted Chicken Shoyu Ramen, but unfortunately that was not on the menu. 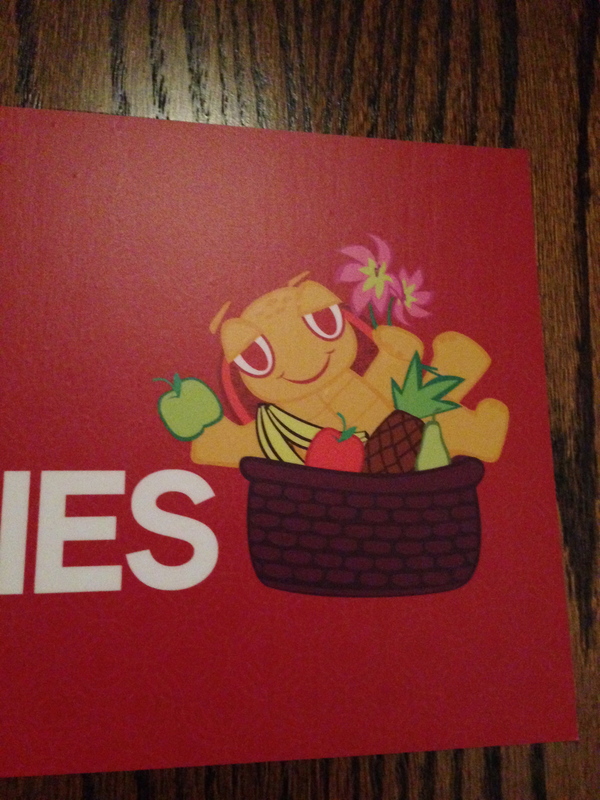 (It seems that Slurping Turtle changes their menu with the seasons, so maybe it will come back?) 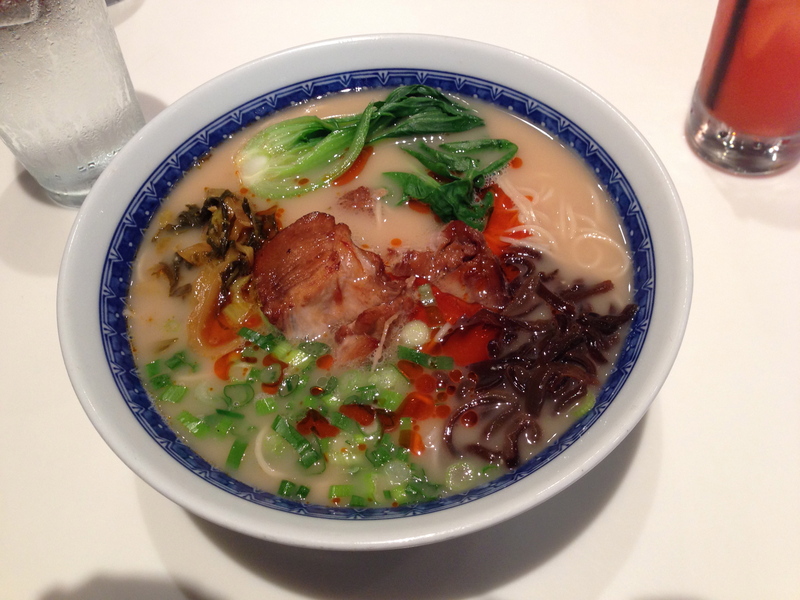 Naoto got the Tonkotsu ramen, which is similar to what he had at Misoya. It had homemade ramen noodles, braised pork, bok choy, pickled mustard greens, braised mushrooms and scallions swimming in the salty pork broth. It was really good, and I liked the braised pork. Though it was definitely different than the grilled pork of Misoya, it was seasoned well and was really moist and tasty. 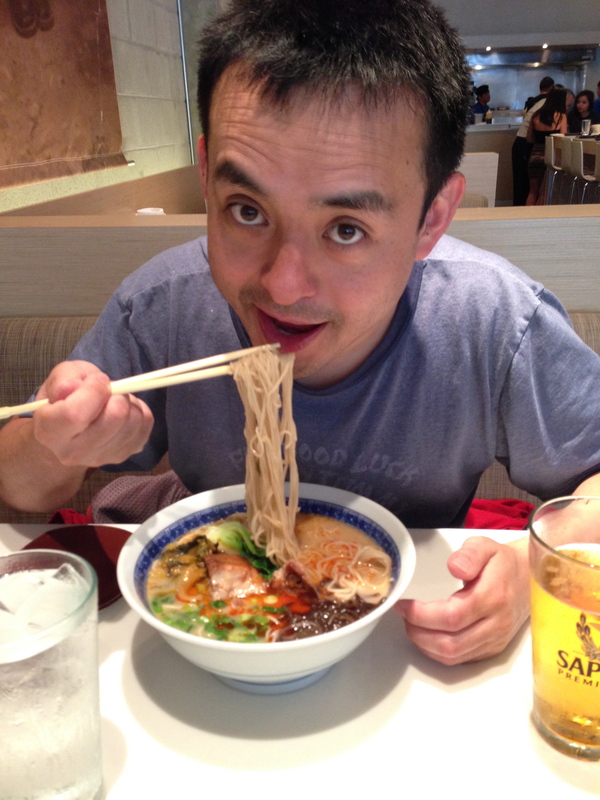 As you can tell, Naoto really enjoyed his bowl of ramen. He liked the addition of the chili oil and he loved the homemade noodles. 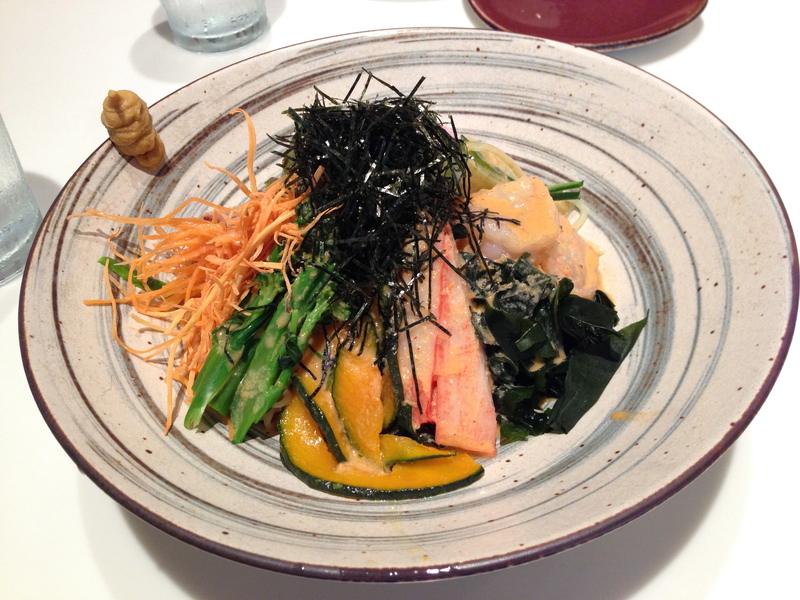 I went rogue and ordered a cold noodle dish, the Hiyashi Chu-Ka. It had homemade ramen noodles, carrots asparagus, kabocha squash, broccolini, seaweed alongside crab sticks, shrimp, pork and ham gently tossed with a citrus-soy dressing. I am a sucker for anything with a citrus-soy dressing and this dish was the perfect cure for a hot summer day. I loved everything about my dish. It was fresh and hearty. The homemade noodles were firm and held the dressing perfectly. The citrus-soy complemented every bite of noodle, meat and vegetable without overpowering. Between this dish and my cocktail, I was a cool cucumber for the walk back to the train. Before we walked to the train, we stopped downstairs to use the restrooms. I had to take a picture of the cutie turtles on the restroom signs. 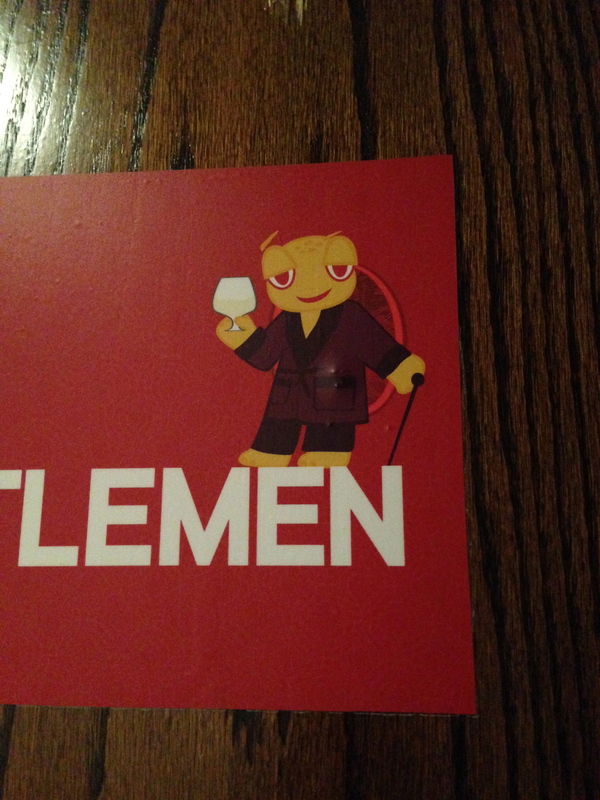 I’m not sure what the fruit basket turtle was all about but the guy in the smoking jacket pretty much stole my heart. I can’t wait to go back to the Turtle! 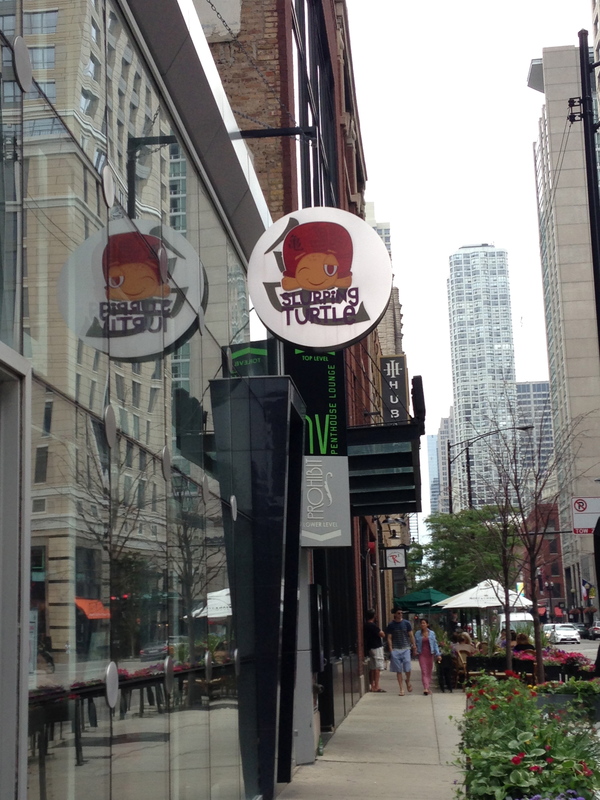 Slurping Turtle is located at 116 W. Hubbard Street in Chicago’s River North neighborhood.